Time flies. 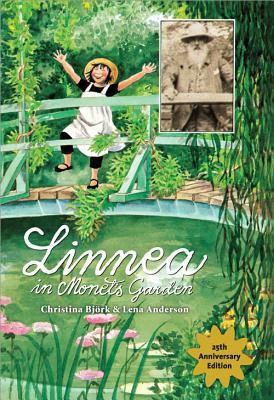 The 25th Anniversary Edition of Linnea in Monet’s Garden is about to be released this fall by Sourcebooks. It doesn’t seem that long ago that my daughter received her own treasured copy from her grandmother. We read that book over and over, dreaming of the day when we could travel to Giverny together to stand on that bright green bridge over the lily pond. My daughter and I are standing on Monet’s bridge, after dreaming about it for nearly 20 years. Inspired by one of our favorite children’s books, Linnea in Monet’s Garden. It was everything we dreamed of. The pink house, the yellow kitchen, the pebbled garden walk. Except for the crowds. 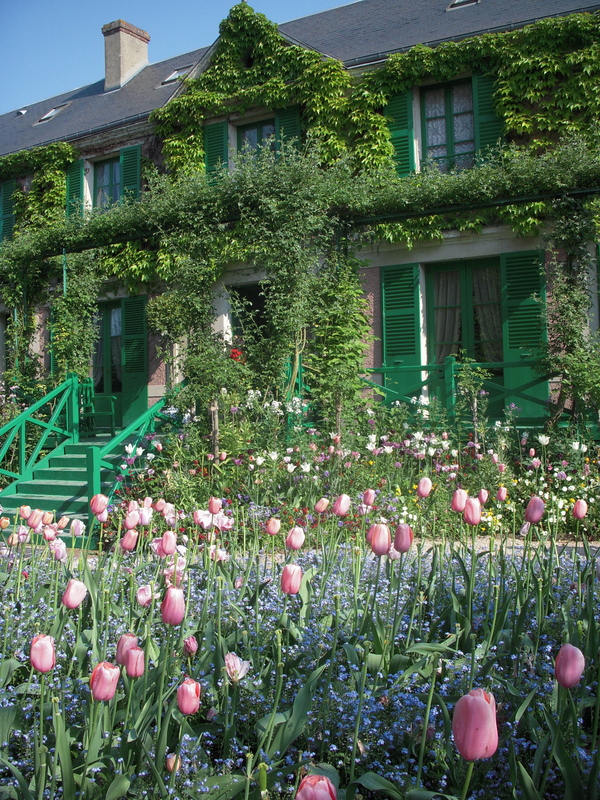 I was stunned at the number of visitors in Giverny as compared to my first visit to in the late 80’s. You have to snap your photos fast, before yet another group of cruise boat tourists wanders into your viewfinder. We’re still glad we went – it’s a treasure of a place. 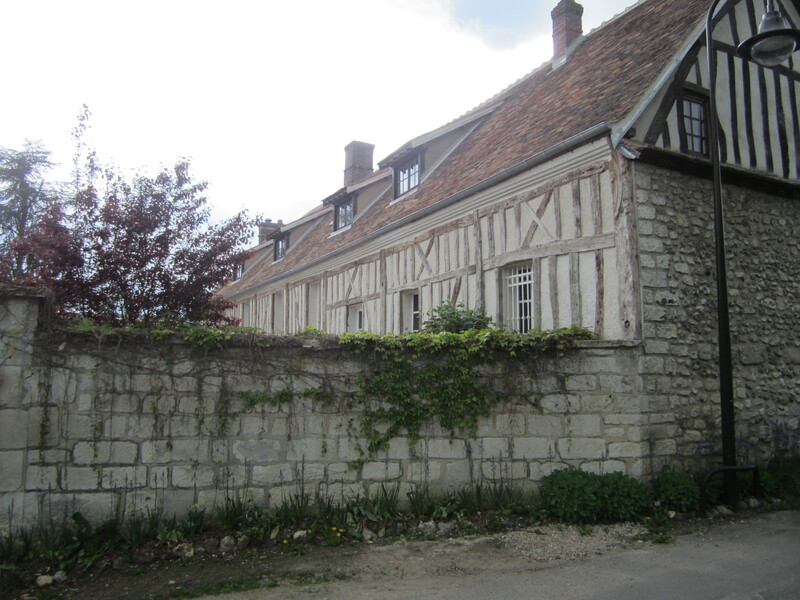 Once my mission had been accomplished with my own daughter, I thought it was time to get a new generation of girls in my family dreaming about Giverny. I had planned on buying a copy of Linnea in Monet’s Garden for a niece’s birthday, but the current edition was out of print, and I didn’t want to wait until October for Sourcebooks’ anniversary edition. 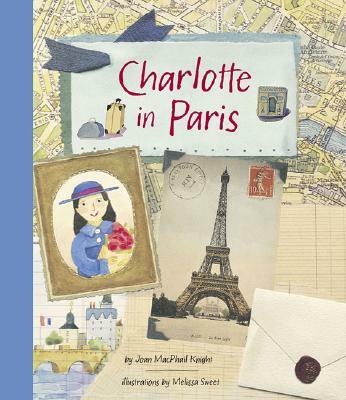 Luckily, I stumbled upon another lovely children’s book called Charlotte in Giverny (Chronicle Books). 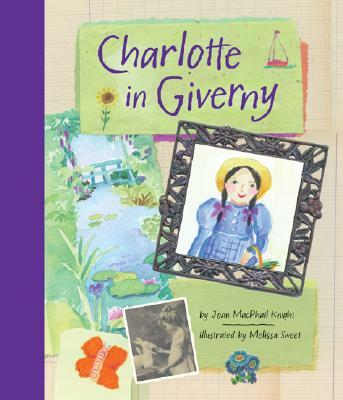 Charlotte in Giverny is the fictional journal and scrapbook of a young girl whose family travels to the Giverny art colony in 1892. 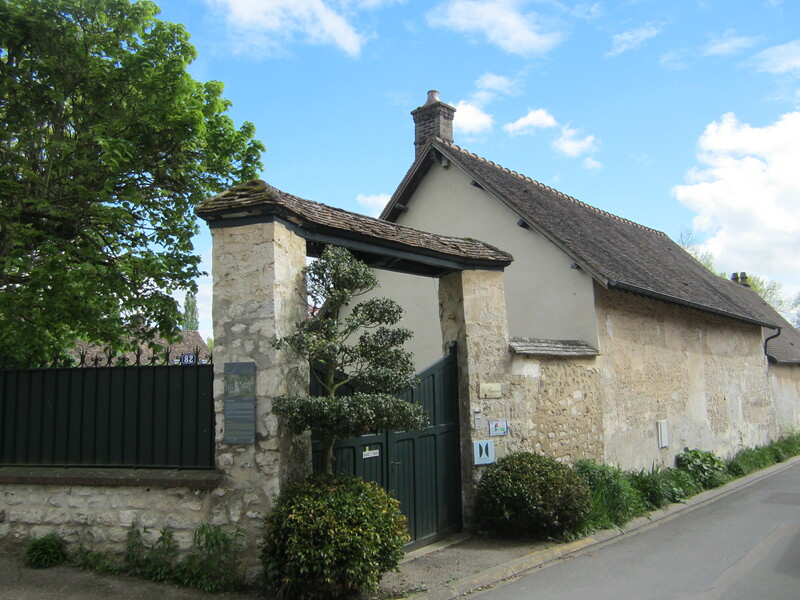 The book contains whimsical watercolor illustrations, historical photographs and museum reproductions of famous Impressionist paintings created in Giverny. It’s a terrific little book and it’s not just for kids. It’s got a lot of art history that’s quick and easy to browse through. Charlotte is a bright and observant little journalist, and brings a youthful sense of wonder to the subject. 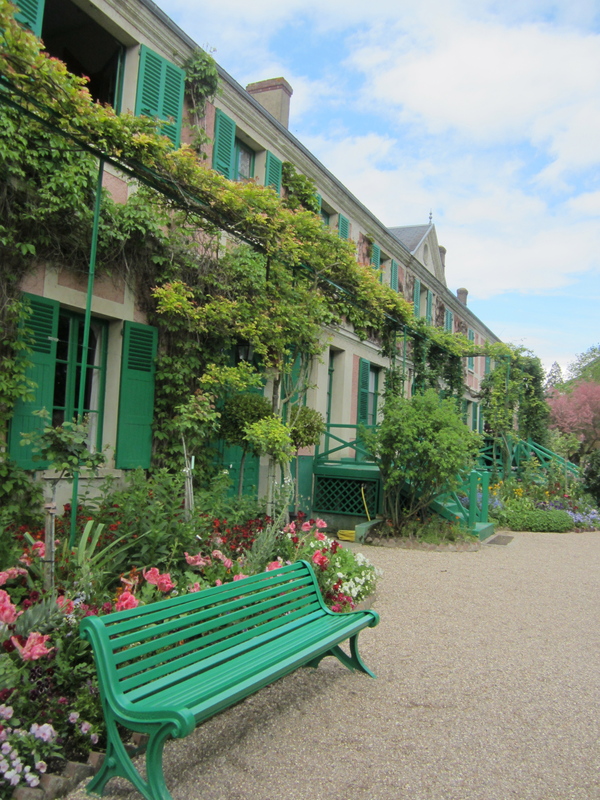 Charlotte in Giverny offers much more than the story of Claude Monet. You get to hear about the whole colony, and about other American artists such as Lilla Cabot Perry, Thomas Robinson and Mary and Frederick MacMonnies. 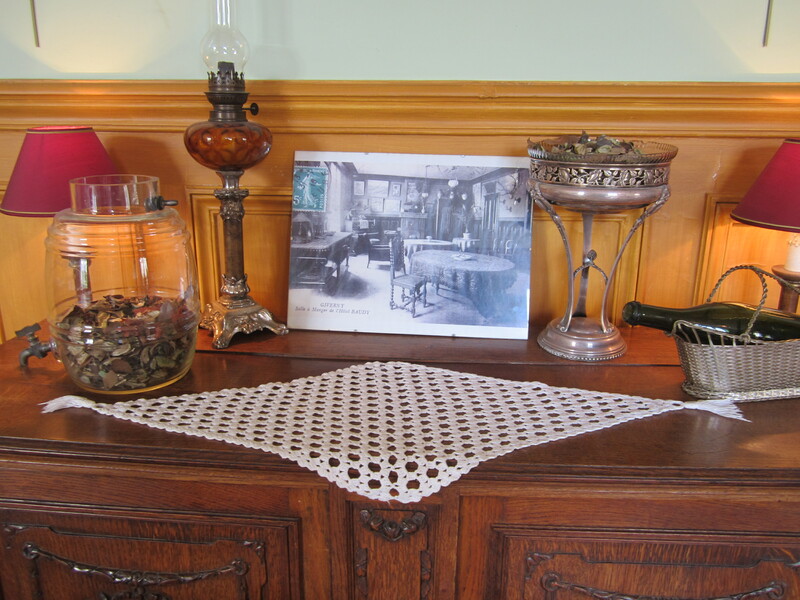 Charlotte and her family check into Hotel Baudy upon their arrival in Giverny, just like so many of the visiting American artists in the late 19th century. Charlotte enjoys the boisterous life at the hotel, where the artists often pay their hotel bills by leaving a painting behind. 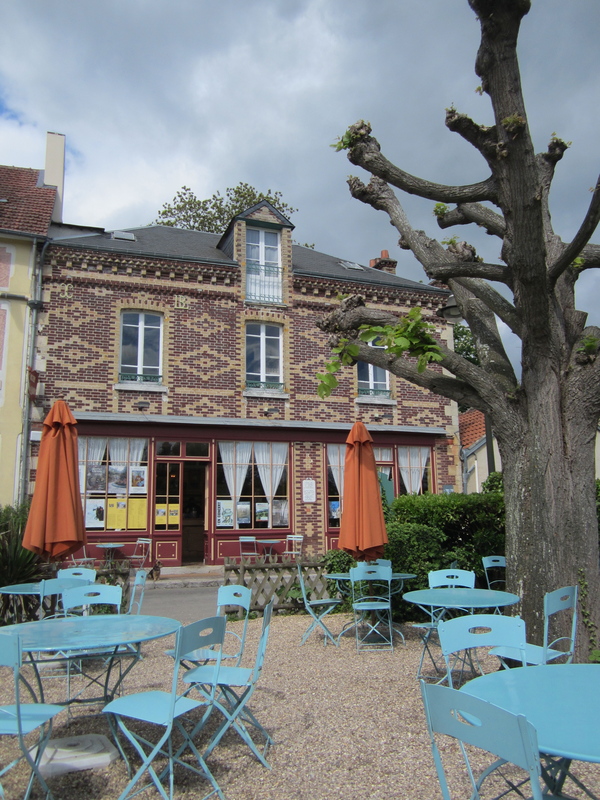 If you visit Giverny today, you can enjoy lunch inside the old Hotel Baudy, or on the terrace where the old tennis courts might have once stood. Degas, is that you? 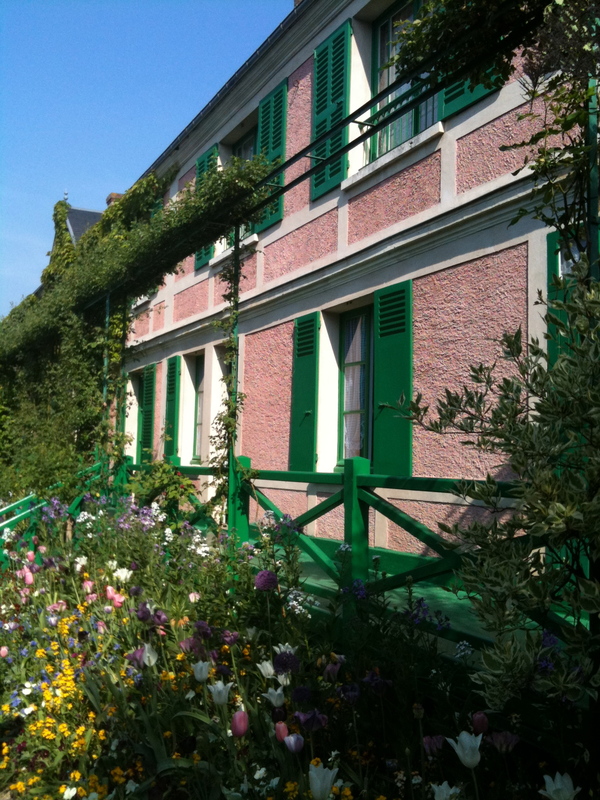 In Charlotte in Giverny, Charlotte meets the American painter Lilla Cabot Perry and her young daughter Edith. The Perrys had a little dog named “Degas” who looks a lot like this petit chien! 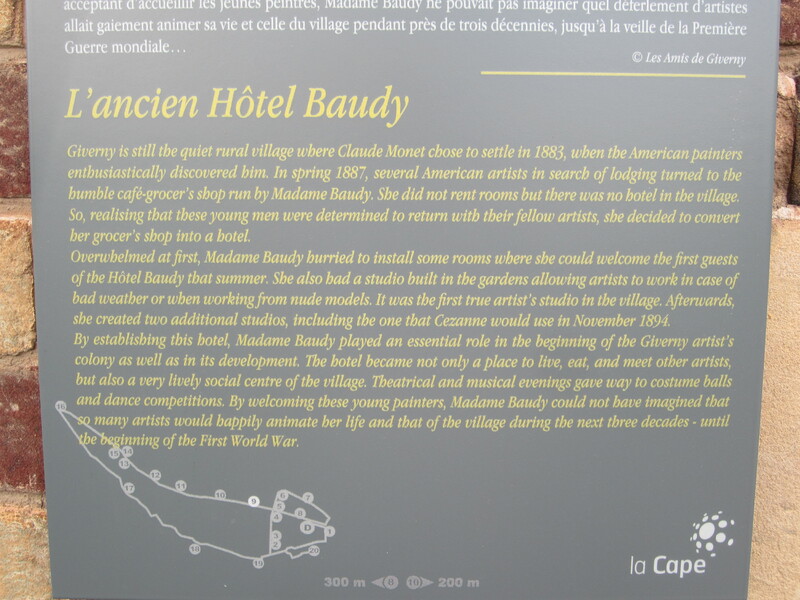 A Who’s Who of Artists Visited Hotel Baudy. 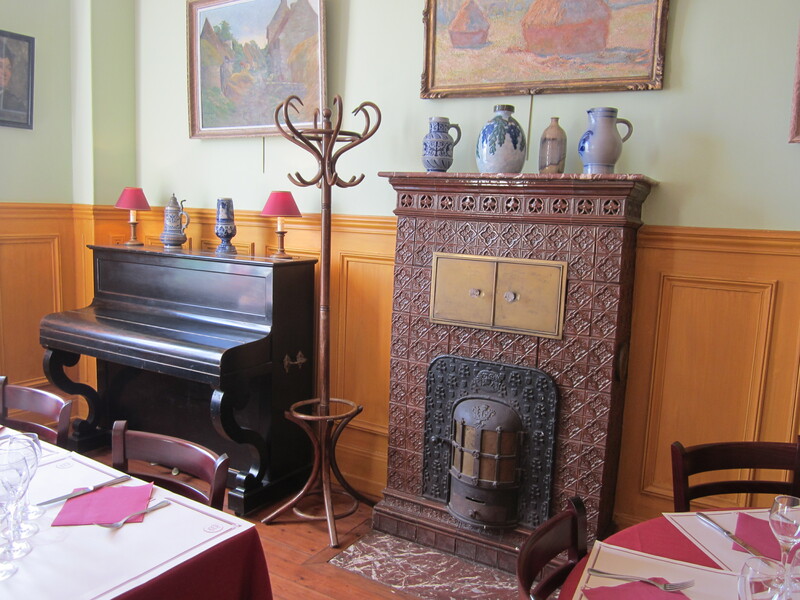 The interior of the Hotel Baudy, where you can imagine all of the fun bohemian evenings singing songs near the fire. The walls are full of Impressionist reproductions that might have been left behind by starving artists unable to pay their bills. 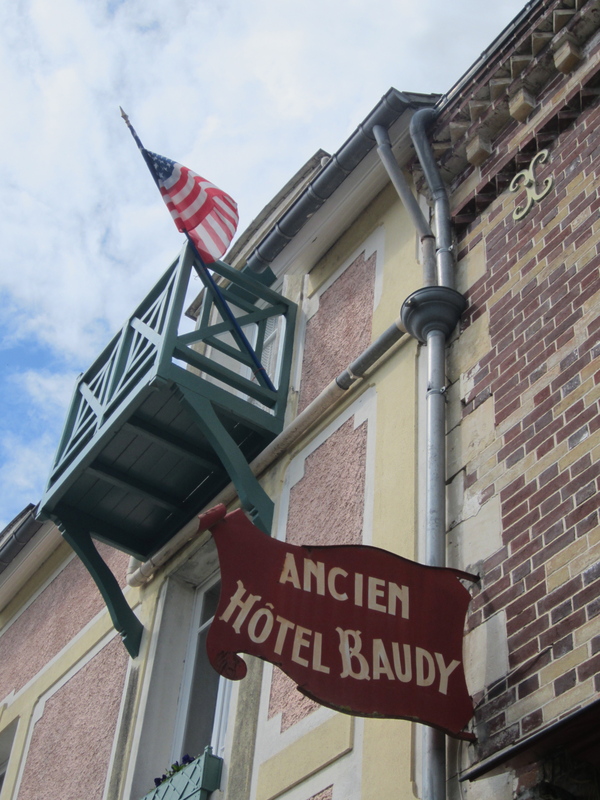 You can enjoy lunch on the terrace of the Hotel Baudy, which might be the site of Hotel Baudy’s old tennis court. Karl Anderson’s painting called “Tennis Court at the Hotel Baudy” (1910) depicts a tennis scene on a court right outside the hotel. To me, it looks as though it could have been right here. See for yourself on the Terra Museum website. 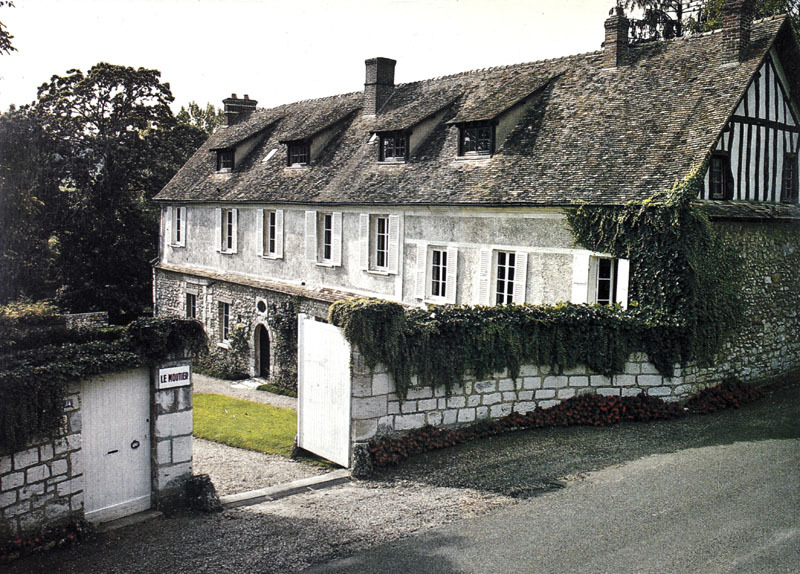 Le Moutier – from a 1960s era postcard. The former home of American artist power couple Frederick and Mary Fairchild MacMonnies. 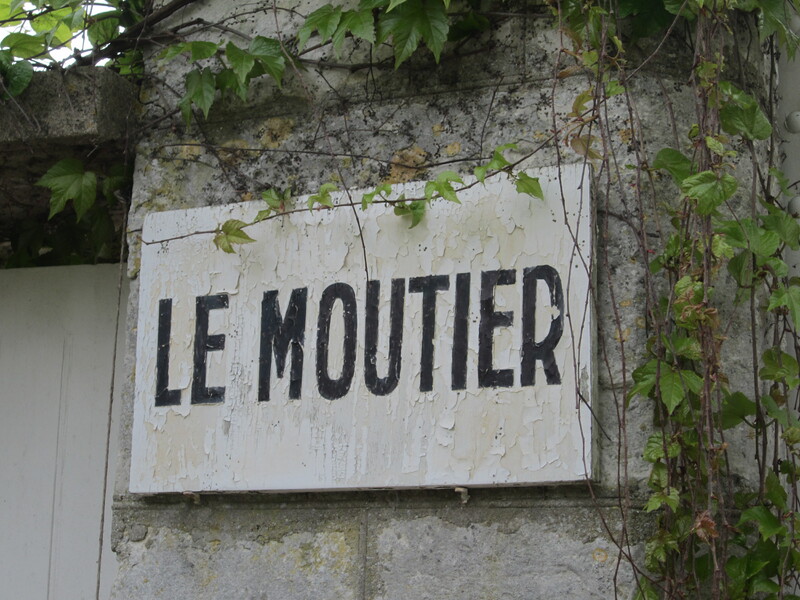 Today, Le Moutier is privately owned and protected by high walls, just like it was back in the “MacMonastery” days. 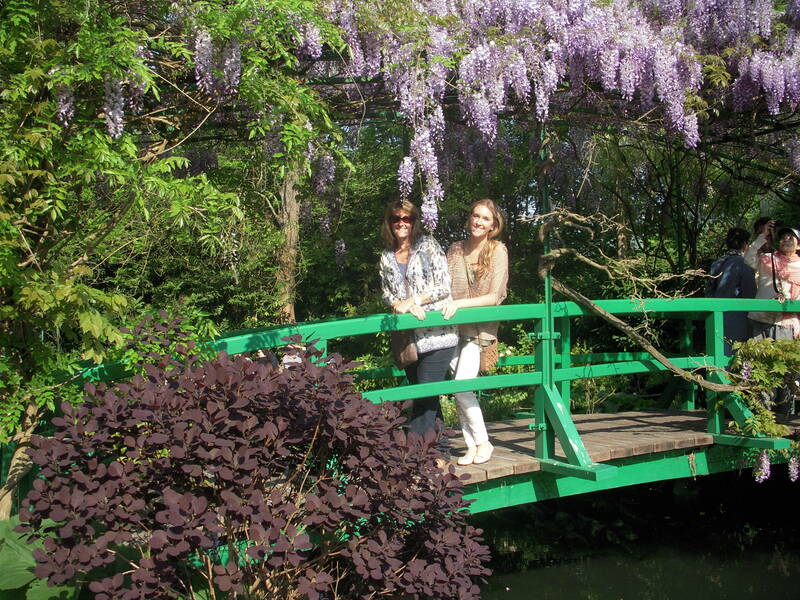 Despite the crowds, you can’t beat a day trip to Giverny in Charlotte or Linnea’s footsteps. 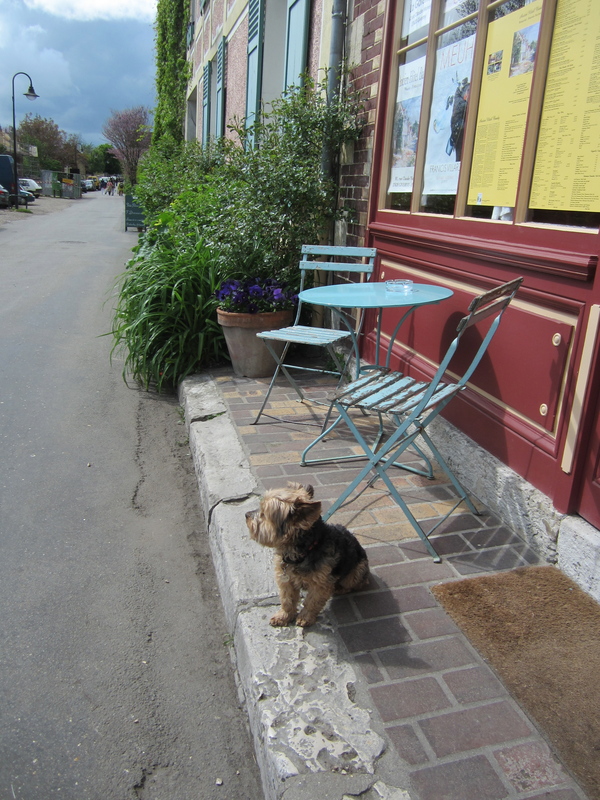 It’s a lovely village full of art, history and pastoral beauty. You don’t need to have a daughter to enjoy the trip or these books. You just need to have the heart of an artist. 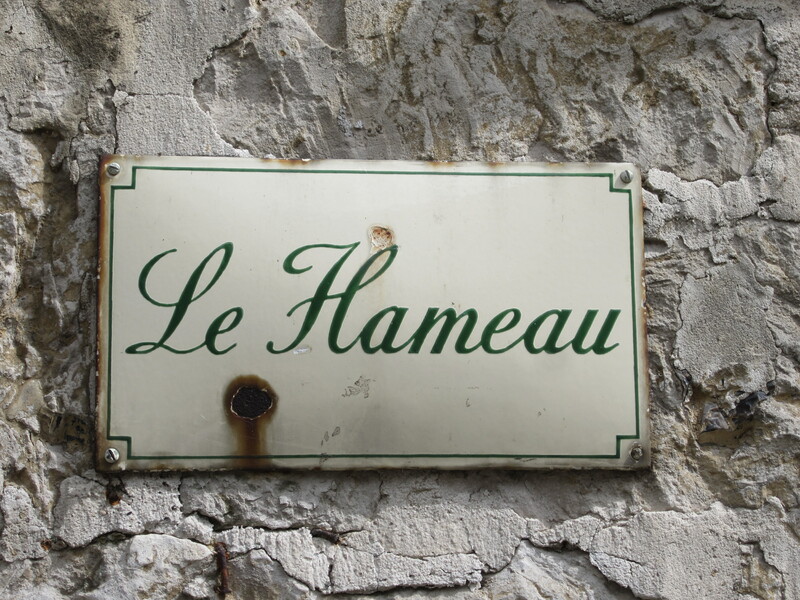 Recommended visit: Take the train to nearby Vernon, rent a car, or take a bus tour from Paris that allows you an entire day to wander through the streets of Giverny. Don’t rush back! 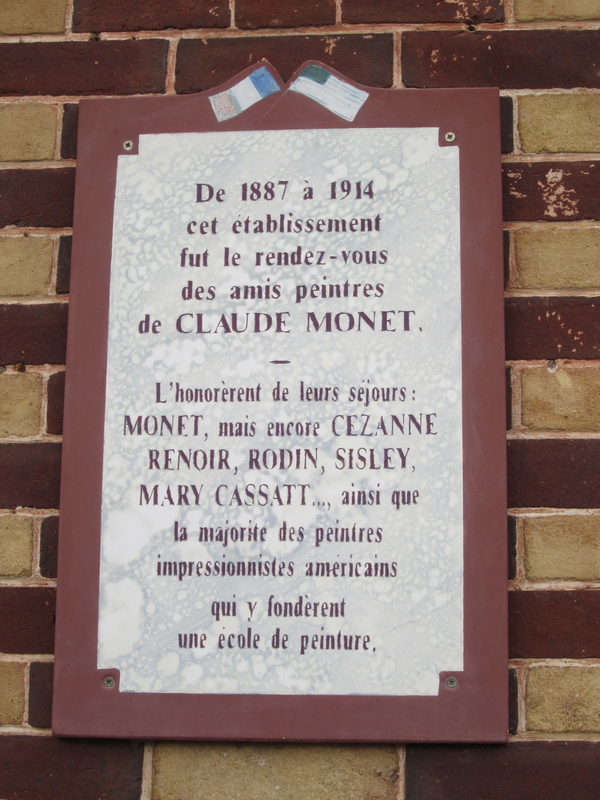 This entry was posted in Art History, Art History Site, Book Review and tagged Charlotte in Giverny, Chronicle Books, Claude Monet, Frederick MacMonnies, Giverny, Giverny Daytrip, Hotel Baudy, Joan MacPhail Knight, Le Hameau, Le Moutier, Lilla Cabot Perry, Linnea, Linnea in Monet's Garden, Mary Fairchild Low, Mary Fairchild MacMonnies Low, Monet's Water Lily Gardens, Sourcebooks, William Merritt Chase by americangirlsartclubinparis. Bookmark the permalink.